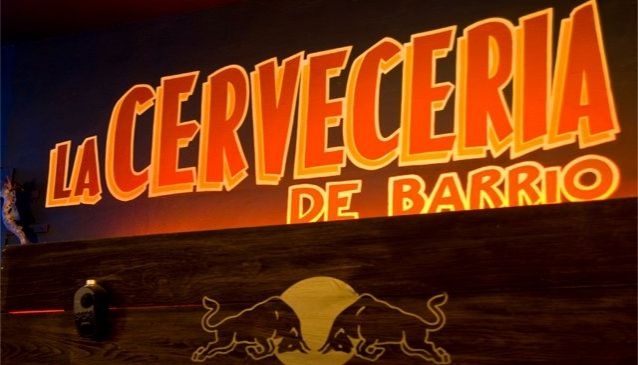 La Cervecería de Barrio opened their doors in September 2005 in la Condesa, undoubtedly one of the suburbs with greater tradition and prestige in Mexico City. This casual concept was created by the best architects and designers from Mexico and they were inspired in the wonderful seafood restaurants from the popular markets. Creating an oasis in the traffic of the city, with its outdoor spaces and relaxed atmosphere that invite you to enjoy a variety of beers, or some of their special flavor margaritas and an exquisite seafood. The Menu offers a wide variety of dishes such as the traditional and famous-toast, tuna steaks hamburger and burritos; among many other dishes from the sea always seeking quality to satisfy the most demanding palates. If you are looking for a special place to watch your favorite sportsgame, this is an awesome option, because their big TV screens are strategically placed so you don't lose detail of the sport events.